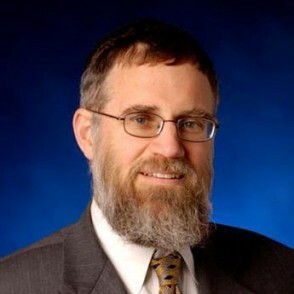 Rabbi Yaakov Neuburger is a rosh yeshiva at the Yeshiva Program/Mazer School of Talmudic Studies of Yeshiva University. Rabbi Neuberger is also the spiritual leader of Congregation Beth Abraham in Bergenfield, N.J. Rabbi Neuburger is an authority on issues related to marital relationships and the purity of the Jewish home. He offers his services to help young men train for married life and prepare to build a proper Jewish home built on Jewish law and spirit. From 1986 to 1990, Rabbi Neuburger was spiritual leader of the Jewish community at the Albert Einstein College of Medicine and the Jack D. Weiler Hospital. Rabbi Neuburger received semikha from the Rabbi Isaac Elchanan Theological Seminary of Yeshiva University in 1979. He is a graduate of Yeshiva College, and earned an MA in psychology from Columbia University.